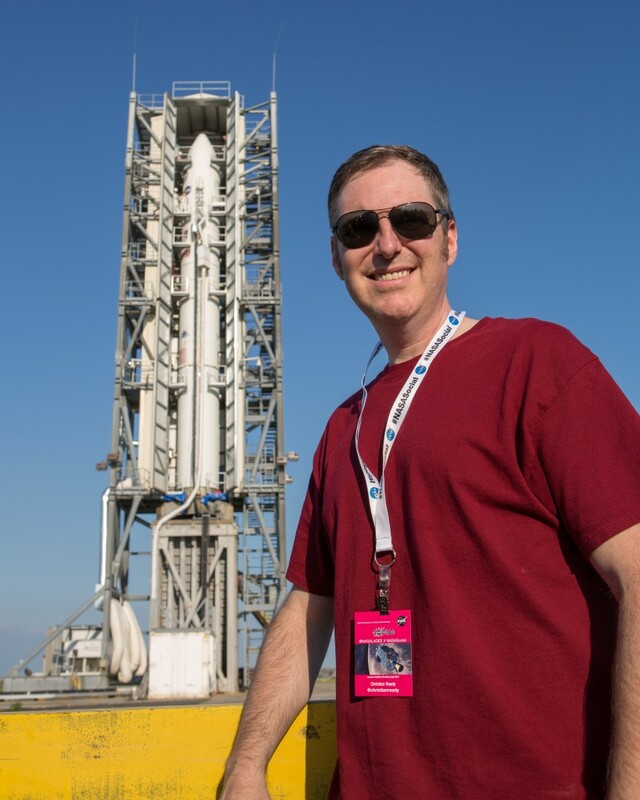 LADEE Launch Recap Part 2: Out to the Launch Pad! Mom alert: At the 18:00 mark, I ask a question about the predicted count rate. 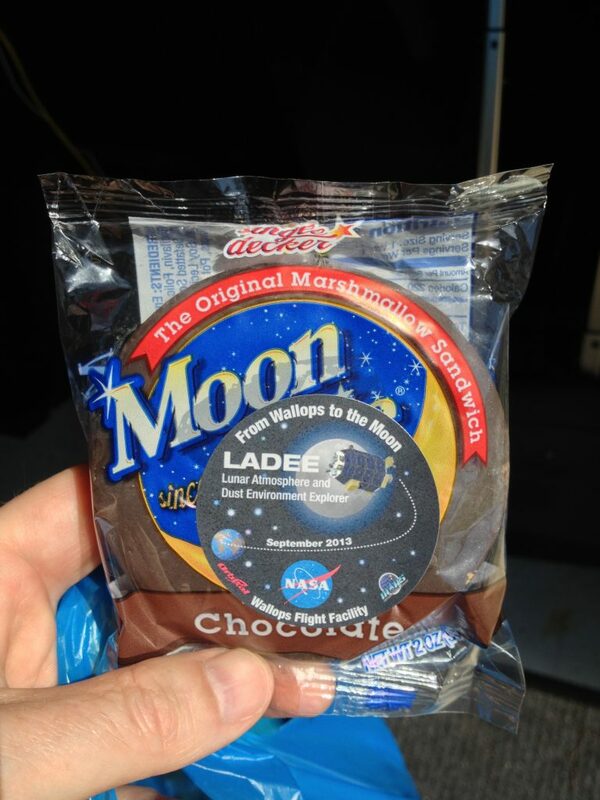 So much happened during the two days of our NASA Social Meetup at the LADEE launch, a single blog post of any substantive detail is a post that may never get published, let alone read. So instead, I’ll try to break it up into smaller bits to have a play in the weeds a little. Since much has been written about the launch by others far more capable than I, I’ll try to stick to how things went from my own personal perspective. Over the course of the two days, we attended several briefings, including the official press briefings which were broadcast on NASA TV. 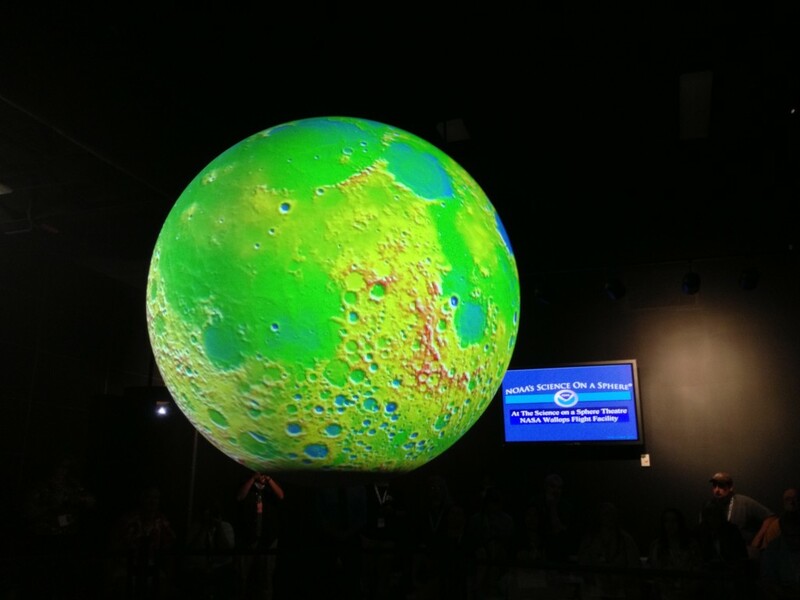 But this first one for NASA’s educational channel turned out to be far and away the most comprehensive. If you have the time, watch the whole thing and you’ll learn about the spacecraft, the science objectives, and the launch operations. Also, I’ll put our level of questions against the traditional media any day. In the interest of brevity, and of my mom, I’ll quickly highlight the bits where I pose some questions. 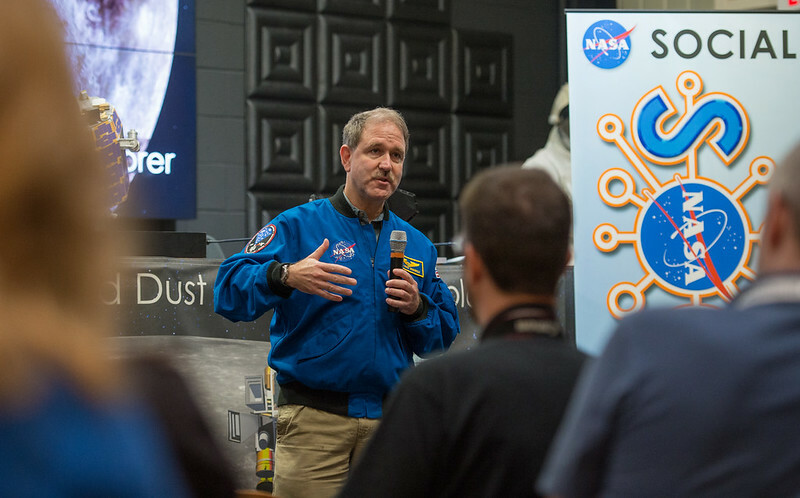 Our first speaker was John M. Grunsfeld, Associate Administrator for the Science Mission Directorate. He welcomed us and talked about how excited he was to see us returning to the Moon with LADEE and exploring a part of the lunar environment that is largely unknown to us. Grunsfeld is one of my heroes because as an astronaut, he flew on three servicing missions to the Hubble Space Telescope. 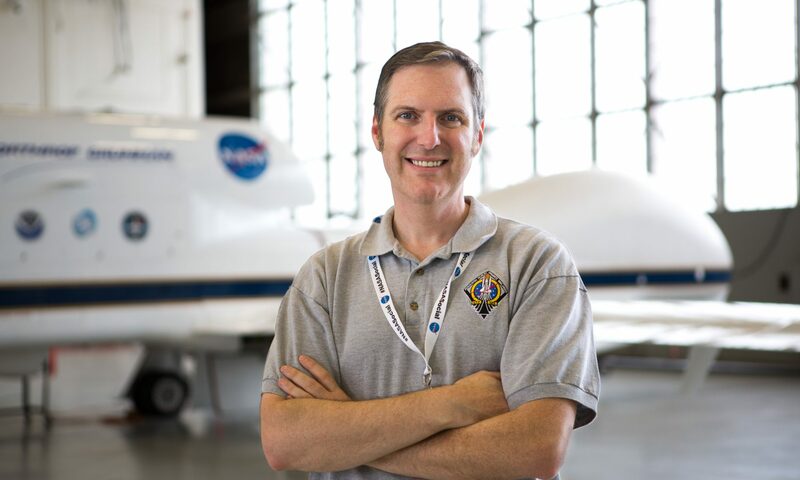 As an astronomer himself, NASA couldn’t have asked for a better person to run the space science side of the NASA house. 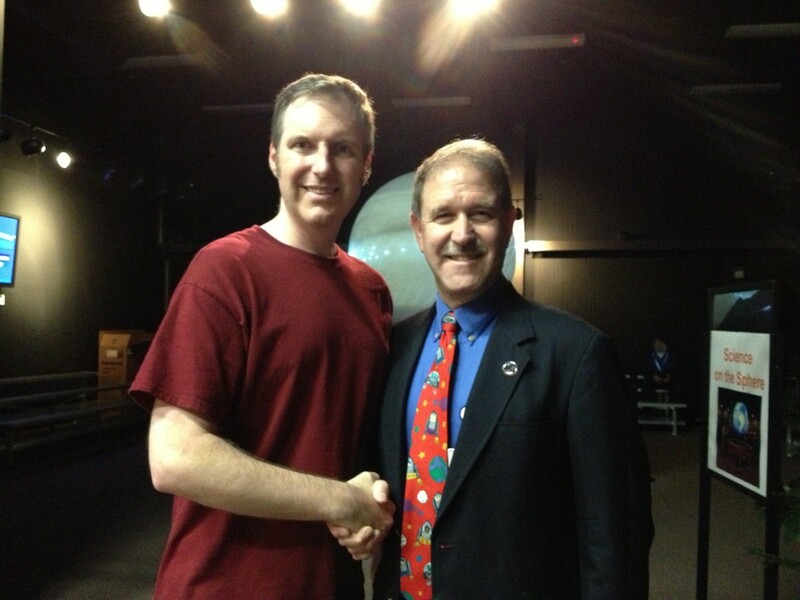 At the 18:00 mark, I asked Dr. Grunsfeld what it was like to be the last person to touch the Hubble Space Telescope. He gave a response that was as accurate as it was humble: he didn’t actually touch Hubble directly since he was wearing the thick rubber gloves in his EVA spacesuit. In fact, every technician who ever touched Hubble wore gloves of some kind. But he quickly pivoted to suggest that tens of thousands of people actually touched Hubble over the last 24 years since its launch, and during the 15 years of its development before it was launched. A humble answer indeed. Grunsfeld also spoke about what it was like to ride the Space Shuttle into orbit. He’s a great storyteller and if you don’t have time to watch the whole video, just watch the first segment with Grunsfeld. Up next was Dr. Sarah Noble, program scientist for LADEE. At the 36:00 mark, I ask her about what overlap LADEE might have with other lunar missions currently in progress. 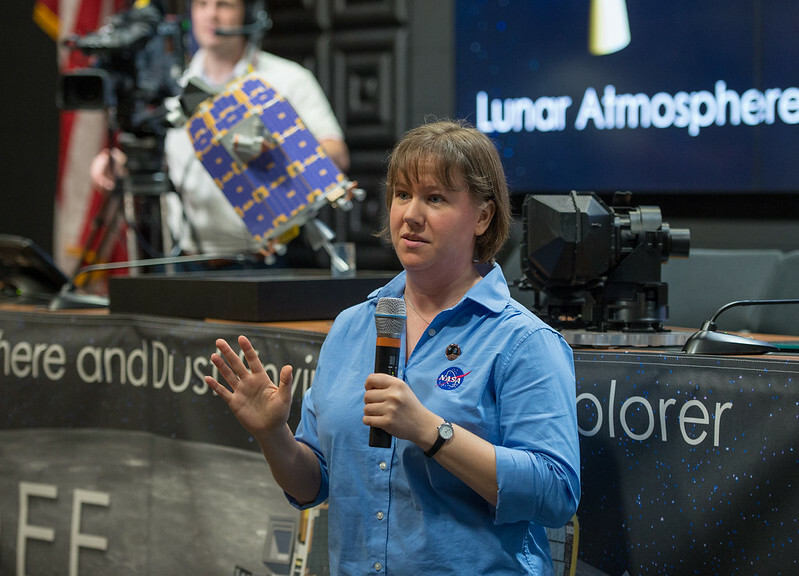 She points out that there are currently three other lunar missions in progress right now: the Lunar Reconnaissance Orbiter (LRO), which is currently making detailed measurements and imagery of the lunar surface, ARTEMIS, which is monitoring the Sun / Earth / Moon environment. 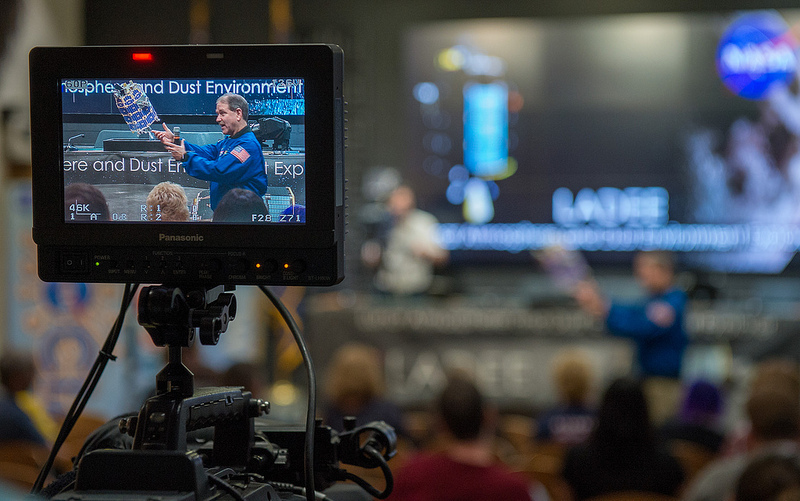 The LRO and LADEE teams are currently working to figure out how they might be able to work together, while the ARTEMIS team will most likely be able to give the LADEE team weather reports based on solar activity hitting the Moon. An Ames developed component of the LADEE spacecraft, called the Modular Common Spacecraft Bus architecture, will demonstrate how to build a first class spacecraft at reduced cost. Image Credit: NASA. LADEE looks eerily similar to the Apollo Command and Service Module, but there’s no way the tapered shape at the top has anything to do with aerodynamics or even fitting into the fairing of the Minotaur V, so I asked what was up with that at 56:04. It turns out that the tapered angle gives them a way to get extra solar power in case they ever find themselves tipped away from the Sun for some reason. 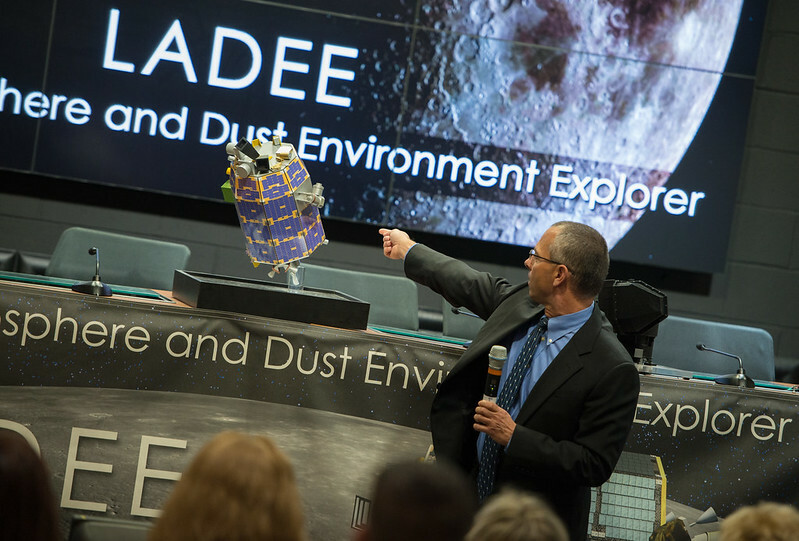 Like I said, the whole thing is well worth your time watching if you really want to learn about LADEE. 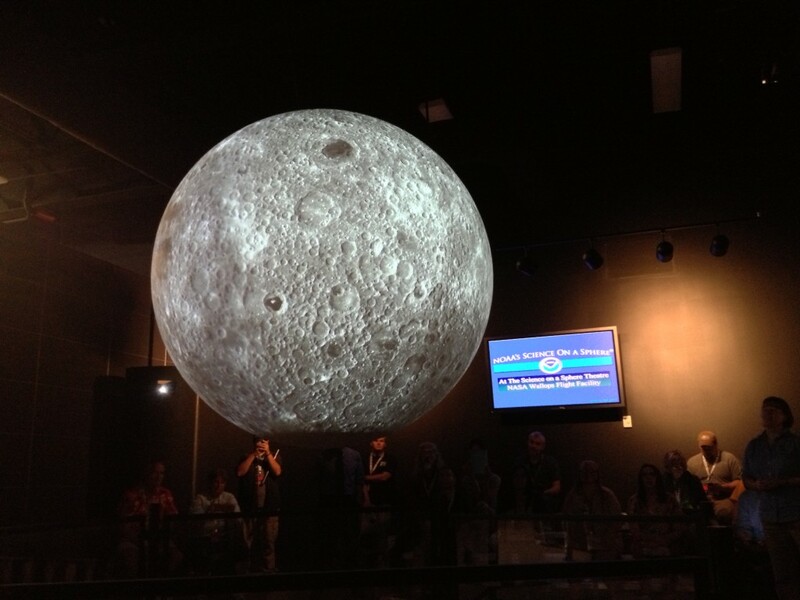 It’s also a great way for us space geeks to watch and go “HEY! I know that guy/girl!! !” every time the camera points to the audience.